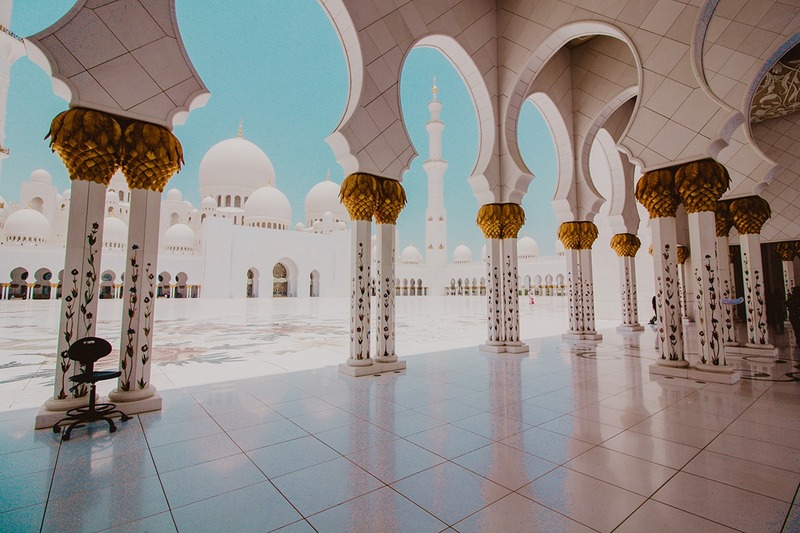 If you find yourself in UAE visiting the White mosque Sheikh Zayed in Abu Dhabi is a must. It is one of the most magical and fairytale-ish places you’ll ever visit. And it is even worth it to organize a whole trip just to go and see it. 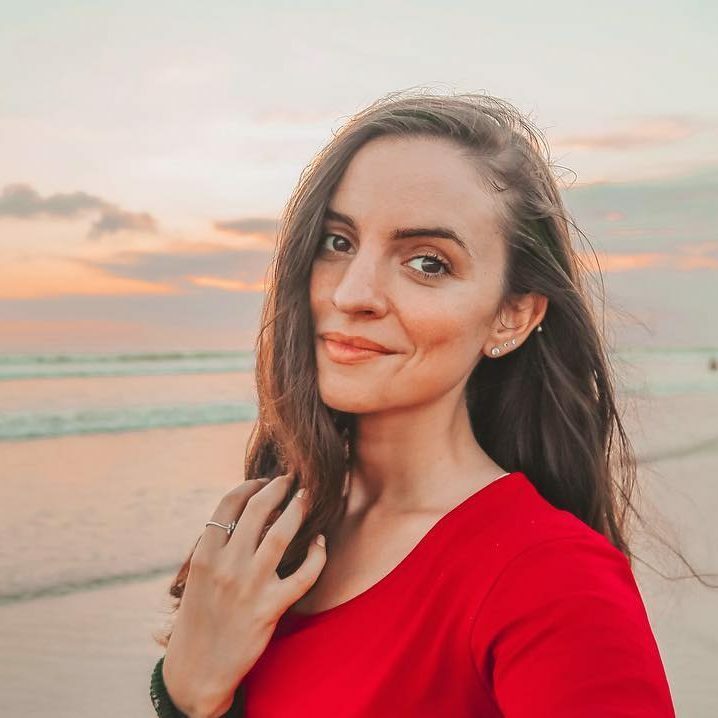 My visit there was in July 2016, while I was in Dubai, and today I’m sharing with you a couple of tips to have in mind if you decided to go there for the first time. 1. 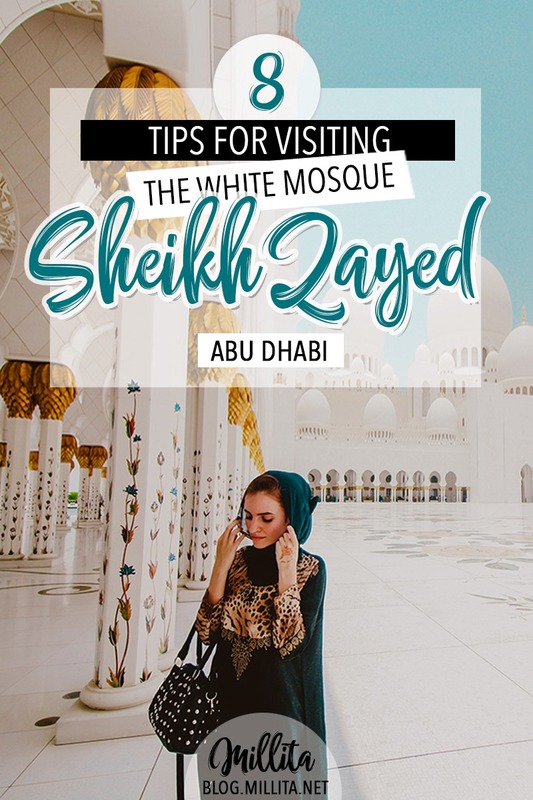 How to get to Sheikh Zayed White Mosque? When I was exploring how to get to the Dubai Mosque, I saw that there was a bus going from Dubai Bus Station to Abu Dhabi Bus Station, but I couldn’t find much information about it and was obviously related to using 4 taxi or public transport as a bonus in both directions. 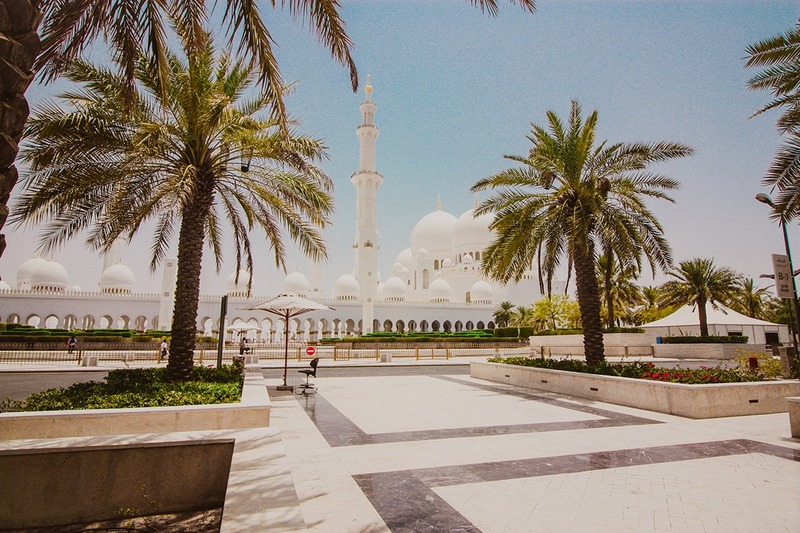 If you want to go directly to the mosque itself, you can use a direct taxi from Dubai, it takes about 90 minutes and costs 250-275 AED (US $65-75) in every direction. Taxi drivers are accustomed to this destination, and there were even taxis waiting outside the mosque to get tourists back to Dubai. However, we chose organized trip to Abu Dhabi and vice versa. Going to nearby attractions was also included. Its cost was about 250 AED and included taking us and returning to the hotel and a guide. 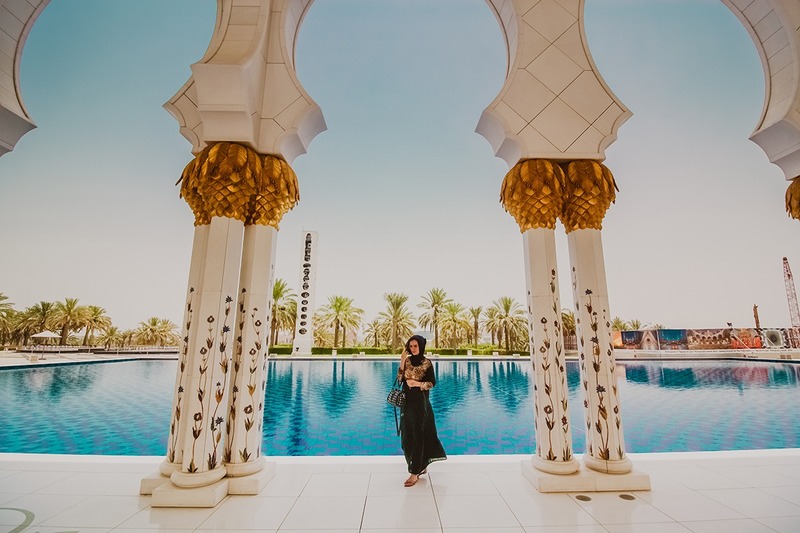 If you are looking for good hotels near the mosque, I can recommend you Officers Club & Hotel, The Fairmont Bab Al Bahr and Park Rotana Abu Dhabi . 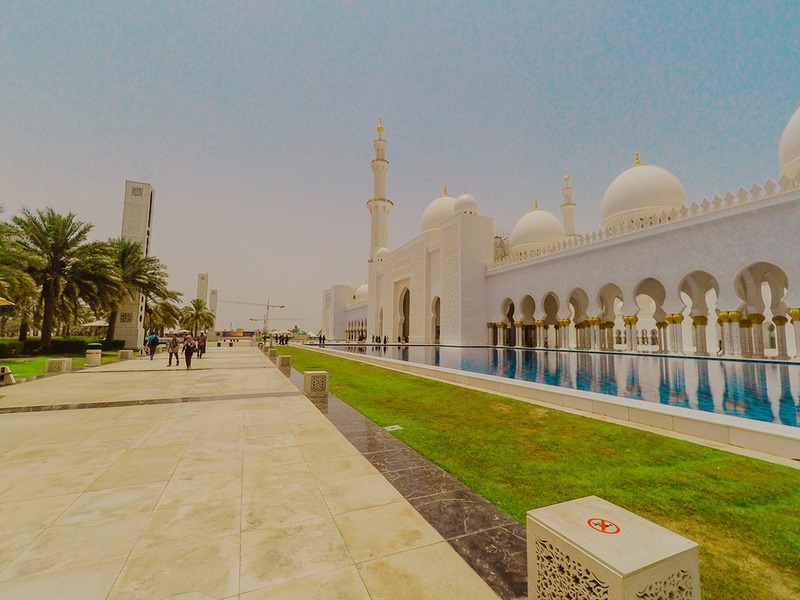 Unlike many tourist attractions, the entrance is completely free, so there is no reason to miss this beautiful mosque when you are in the UAE! The opening hours are from 9:00 to 22:00 Saturday to Thursday and from 16:30 to 22:00 on Friday. As with many destinations, it’s worth visiting during the week to avoid the crowd. But as you can see from the photos, the size of the mosque is much larger than its visitors, which means you will not feel overcrowded there. 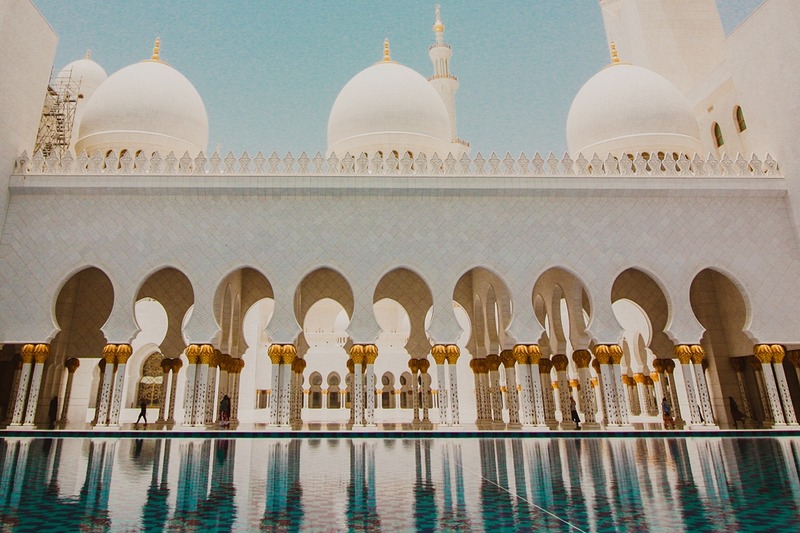 You’ll probably know if you are in the UAE during Ramadan and if you are, note that working hours change from 9:00 to 14:00 Saturday-Thursday and the mosque is completely closed on Friday. Also at this time of the year, they offer only tours at 10:00 on the days when they are open. Any time of the day is a good time to visit the mosque. Because of the warmth it is best to visit early in the morning or late in the evening. We were there at noon and honestly .. especially in July .. it wssn’t the most enjoyable experience. Also, if you are there to shoot, then you may want to visit at sunset or just before sunset during the golden hour. On the pictures I have seen from that time the light is making the building even more beautiful! 5. How to be dressed? 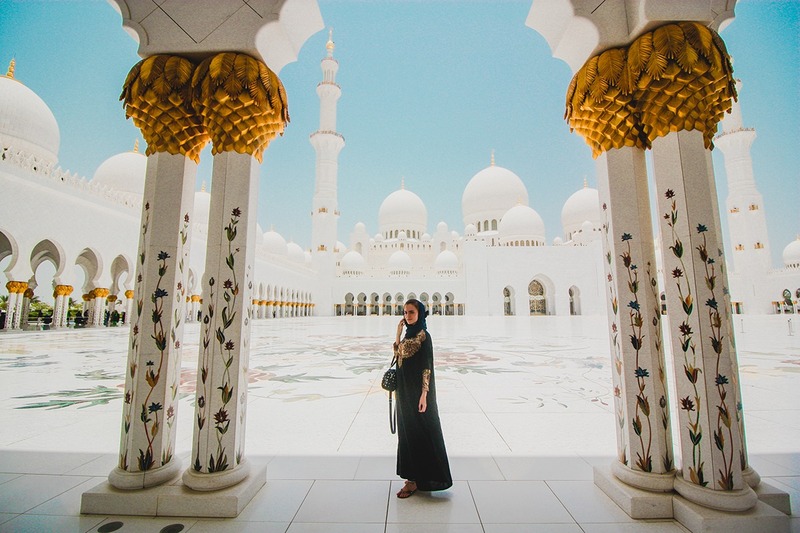 Since this is a Muslim place, you have to cover up and – understandably – they are very strict in terms of clothing. In the mosque they give abaya free of charge for the time you visit it by providing it in several sizes. There is also a special dressing room. As we were traveling, the tour guide informed us that at this point they had stopped giving away abayas, and if you do not have a scarf or something to cover (women) from ankles to ears, they can not let you in. In this case, the agency gave us abayas. For men it’s important to have a minimum of T-shirt and trousers no shorter than the knee. 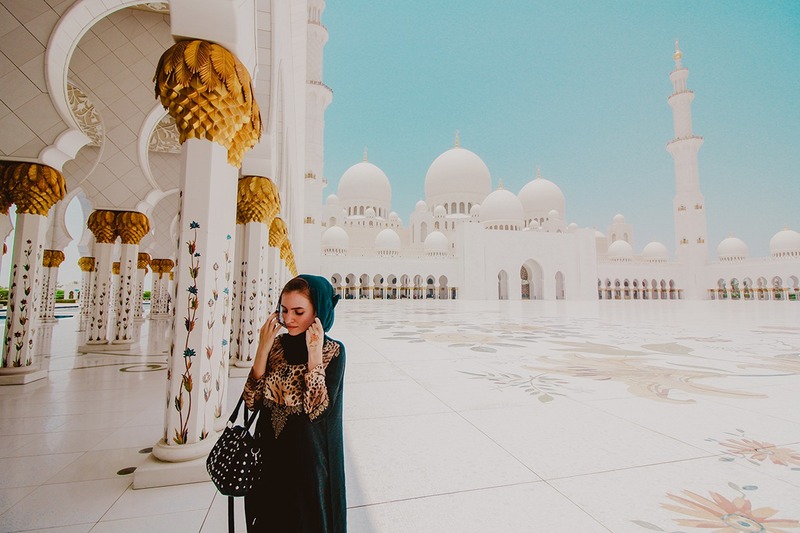 Before visiting, check out whether the Abayas are available on the Grand Mosque website , or make sure your outfit is appropriate and include a headscarf. Appropriate is considerate not only to be covered fully but also not wearing skinny clothes. At the entrance, where they were checking you and what you are wearing, we spotted a girl with skinny leggings. Despite the fact that no flesh was visible, they did not let her in. 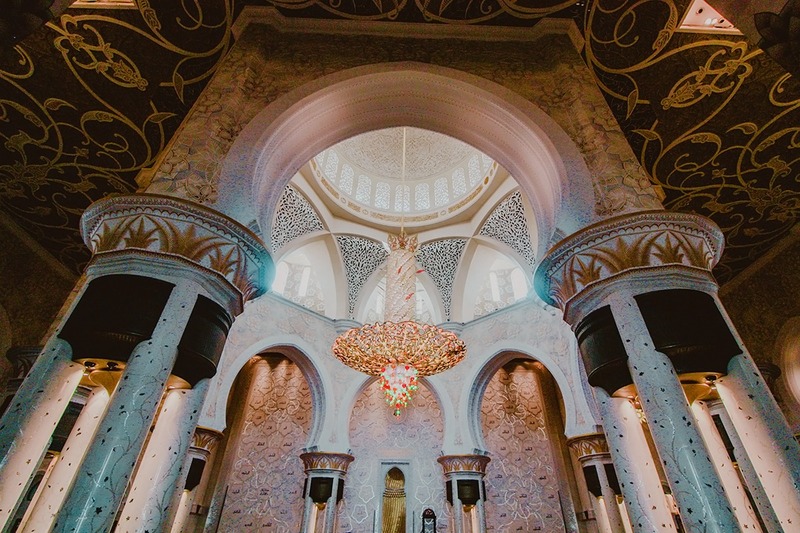 Another interesting thing is that when entering the enclosed part of the mosque, there is a requirement to take off your shoes and put them in the special compartments for them. In the mosque itself there are plenty of drinking water fountains and toilets that can be used by visitors. Do not forget to be hydrated all the time because temperatures are not a joke at all. Keep in mind, however, that you can not drink or eat through Ramadan during the daylight / until sunset /. Free guided tours are available at different times of the day depending on the day. You can find the tours hours of the mosque’s official site. This really is an incredible building and one of the greatest mosques in the world! Enjoy the different culture, learn about religion, take photos and be respectful. 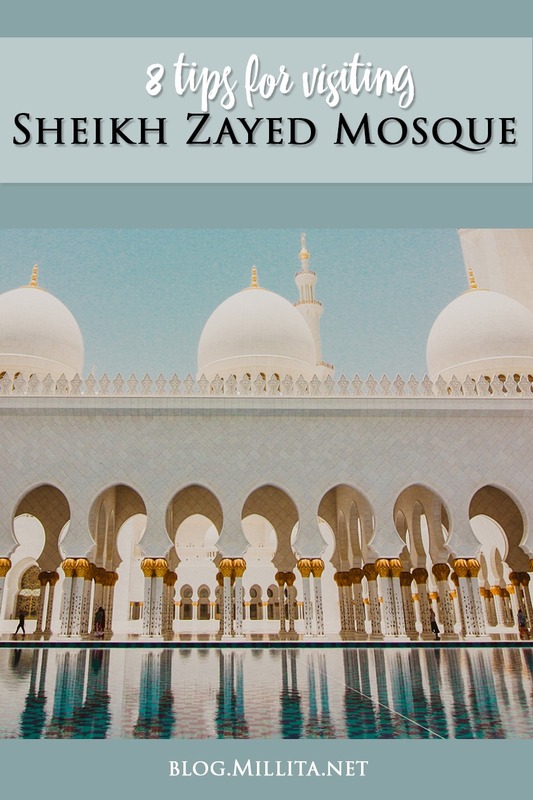 I hope this article about the Great Mosque of Sheikh Zayed in Abu Dhabi has inspired you to visit this amazing place. 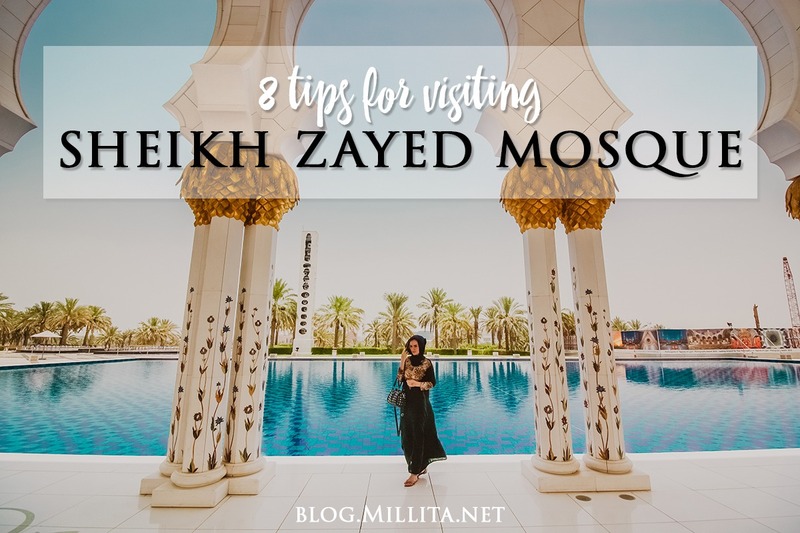 I hope this article will help you plan your own visit to the mosque. 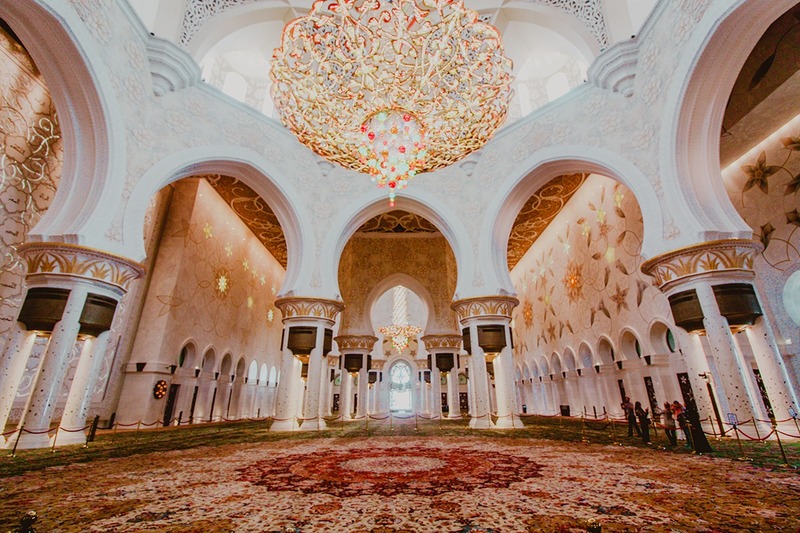 If you have any questions, tips or up-to-date information about visiting the Sheikh Zayed Mosque, please share it with the readers in the comments.